Good morning! 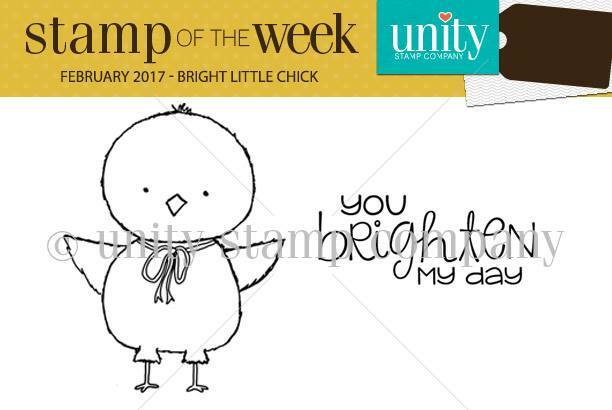 I'm stopping by to introduce a brand new Stamp of the Week! 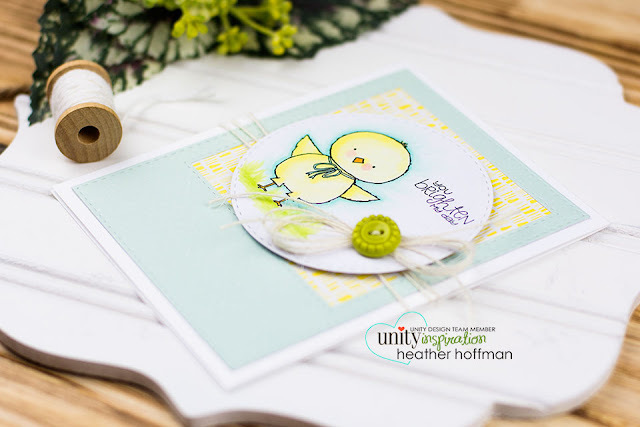 This little cutie is perfect for spring - a season that I imagine we are all ready for by now! 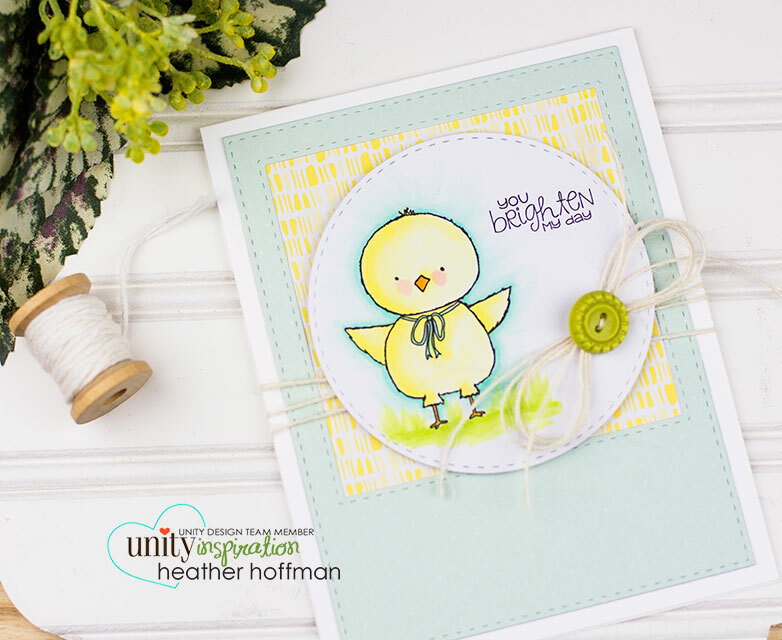 I kept it pretty simple on my card - some pattern paper layers, a bit of simple Copic coloring, and a touch of jute twine to finish it off!